2008 World ReMax Long Drive – 2nd Place – Congratulations !!!!!! 2nd Place – RE/MAX 2008 World Long Drive Championship. What’s there left to say about these shafts… They are absolutely AWESOME!!! The best shafts I’ve ever hit!!! 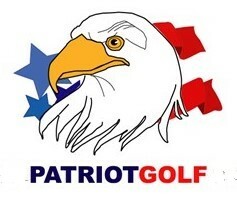 With this as my first year as Long driving Professional I am grateful for the help I got from Lonny Larson owner of Patriot Golf in assisting me to get off the ground with this fantastic sport! He is very professional and helps more than is expected! The Shafts have an unbelievable feel and is the perfect shaft if you want to crush the ball under pressure! You won’t go wrong with the House of Forged Whup-n-Shaft!